Beautiful tourist theme OT NitroLight created in the studio OmegaTheme. The original design is light, fresh colors. 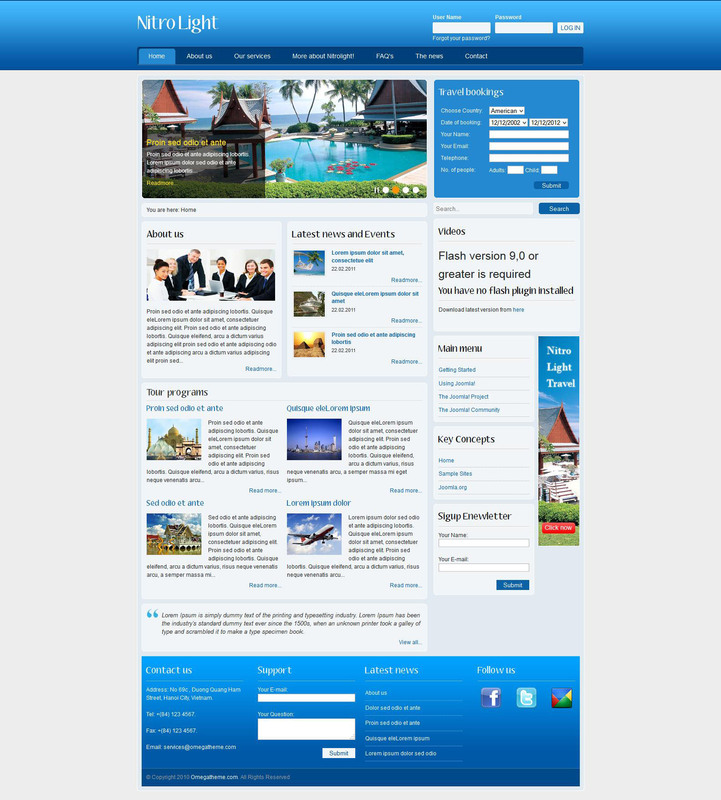 The theme is perfect for travel agencies and excellent resources. Template OT NitroLight provides visitors the option of booking rooms in hotels. This is an important fact. A running theme with the use of the platform Solid Framework; optimized code; includes 18 module positions. Supports absolute compatibility with Joomla version 1.5 to 2.5. and any browsers.